"Since 1984" A simple phrase that says so much... The consumer landscape is a much different place than it was in 1984. The advent of the one-size-fits-all 'box store', nationwide chain retailers, and the Internet provide more options than ever before. However, when making substantial purchases for your home or business, there are many points to be considered. Bargain basement prices are great, but as the old saying goes "you get what you pay for"...and Bert Henry Carpet & Tile has been giving customers their money's worth...since 1984. Combining over forty years of experience in the industry with the area's finest installation professionals, we can handle both your residential and commercial needs. We provide free estimates by appointment, and our showroom -- conveniently located at 56th and Mingo--next to Liberty Flags -- is open Monday through Friday from 8:30am to 4:30pm, except Thursday's we are open until 6pm. If you'd like to schedule a time outside of those hours, we'd be happy to schedule an appointment. A business built on honesty and integrity. An unmatched focus on customer service. Local, Family-owned and operated. These are but a few of the reasons that we invite you to let Bert Henry Carpet & Tile provide your home or business with a touch of 'timeless beauty', just as we have...since 1984. Drop by and see us today! 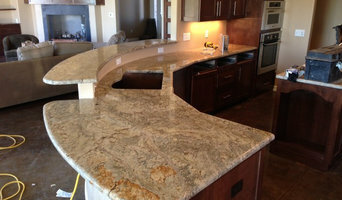 CounterTop Solutions is small by design, which enables us to give personalized service to our clients. Our success depends on positive client experiences. We pay attention to detail, give quality craftmanship, hard work, and offer communication so that we can meet and often exceed the expectations of our clients. As an added service, there is never a charge for your in home or jobsite consultations and estimates. We have grown in our expertise, experience and customer base, due to our using only the best products and materials to complete each of our clients projects. CTS is ready to assist you in your next remodeling project. We can do your kitchen and bath, whether it’s granite, quartz, marble, solid surface, onyx, or laminate. 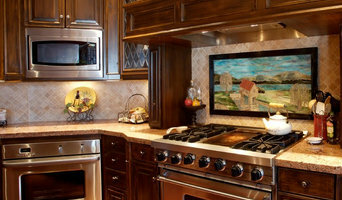 We offer a variety of tile options for backsplash and we also offer plumbing. We are committed to helping you complete your project with style, as well as elegance. CounterTop Solutions is ready to handle any NEW construction or small to medium commercial projects. We have worked in hospitals, nursing homes, schools, restaurants, and casinos. So come by our showroom and view our kitchen and bath designs. 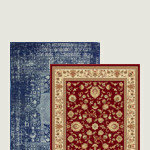 We are here to help you create style with elegance in your home. Fabricate and install custom stone countertops, tile back splashes, shower walls, and floors. Family owned and operated. Visions tile and stone, incorporated is a wholesale and retail distributor of unique natural stones; ceramic tiles; hand-made ceramic tiles; granites, limestones and travertines; glass, metal tiles, encaustics and many more! Visions is a locally-owned, family business. The key to our business foundation is to provide superior client service, extensive product knowledge and quality products to designers, architects, contractors, other retailers and to the public. With Dennis' 37+ years experience, Visions is the place to go for natural stones and ceramic tiles. 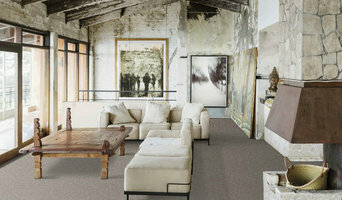 Visit our showroom and "See the Difference"! Granite, marble and quartz fabricator with the largest selection of hand picked, unique slabs from all over the world. Residential and commercial custom stone design, fabrication and installation. Family owned and operated business serving Tulsa and surrounding areas for 40 years. Welcome to B&W Designer Tile, a company that specializes in tiling services in Tulsa, OK and the surrounding areas. If you are looking for an easy and affordable way to transform your kitchen, bathroom, or any other room in your home, then our professional team at B&W Designer Tile is here to help you. We offer many services including bathroom remodeling, kitchen remodeling, laminate flooring, porcelain tile, tile bathtub, engineered flooring, back splash installation, ceramic tile installation, shower tile installation, and much more . With our residential tile service, we can offer you a variety of tile options for your home like ceramic, porcelain, glass, mosaic, etc. 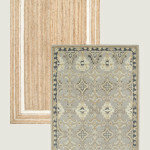 Decorate your kitchen or bathroom with beautiful tile flooring that is durable and easy to clean today! Our goal is to provide a professional tile service that exceeds our clients' expectations. We seek to be better than our competition by having flexible hours and carefully listening to our customer's needs. Our team is ready to take on any complexity of work quickly and efficiently. Whether you need us for our bathroom tile service, kitchen tile service or any room in your home, just know that we are here on standby ready to help. If you are interested in using our all tile service, go ahead and contact B&W Designer Tile today for more information. Dynasty Marble & Granite provides top of the line craftsmanship with 100% customer satisfaction installation. 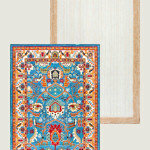 Our main goal is to serve our customers with the best quality work for reasonable prices. With over 15 years of experience and passion for our profession you can rely on us to meet your expectations. Hi Y'all. 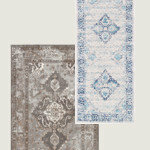 I'm a design/Sales associate with the Tile Shop in Tulsa, OK. The Tile Shop offers thousands of man-made and natural stone products to beautify your space. We also offer free design services, financing, and the most lenient return policy in the industry. Come check out our beautiful showroom on 71st and Mingo between Hobby Lobby and Guitar Center. Locally owned with strong ties to Tulsa. Our philosophy is simple; Treat every person who visits our showroom with respect and integrity, regardless of what or how much they need. Call Joy Marble and Tile for your next project, for excellent quality and service. Owner has been in the business since 1985 and the company has been in business since 1997. 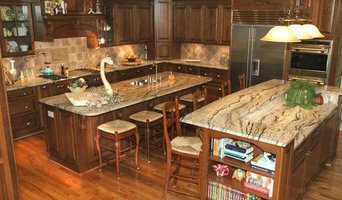 Surfaces fabricates and installs natural stone and quartz countertops. In addition to basic surfaces, many Glenpool, OK tile, stone and countertop contractors can create and install murals and mosaics, as well as add decorative edge treatments to countertops. They also repair or replace surfaces in the event of chips, cracks, stains or other damage. Many tile, stone and countertop professionals also install shower pans, radiant-heat flooring systems and other common components of surfacing jobs, often working in tandem with Glenpool, OK plumbers or other professionals. Here are some related professionals and vendors to complement the work of tile, stone & countertops: Interior Designers & Decorators, Architects & Building Designers, General Contractors, Kitchen & Bath Designers, Design-Build Firms. Find a tile, stone and countertop contractor on Houzz. 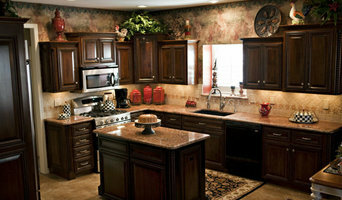 Narrow your search in the Professionals section of the website to Glenpool, OK tile, stone and countertops. You can also look through Glenpool, OK photos to find tile, stone and countertop projects you like, then contact the contractor who worked on it.